Being able to record video on a smartphone is something that many of us never really understood the need for, but as the years have rolled on we have all become accustomed to having a mighty fine video recorder in our pockets at all times. As smartphones have matured, so has the camera technology inside them too, so where we first had to make do with poor quality recordings, 1080p HD video is now the norm from a modern smartphone while some are even capable of 4K Ultra HD. 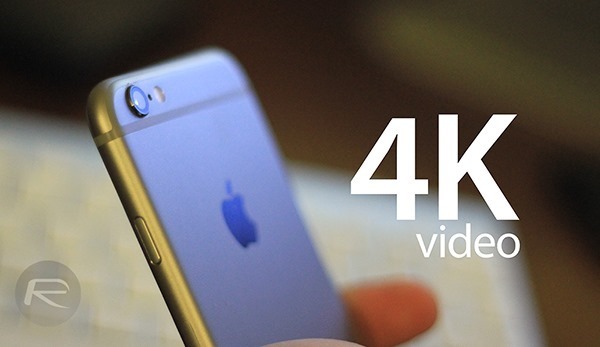 Apple’s iPhone 6 and iPhone 6 Plus are capable of playing videos that are in 4K. That fact has led to camera apps popping up on the App Store that that enable users to shoot video in 4K, and while they have so far left a little to be desired, a YouTube video has popped up that shows just what one of them is capable of. The app, ProCam 2, is available to buy for $1.99 and requires a $4.99 in-app purchase in order to unlock all that 4K loveliness. The video, which will take a while to stream, so give it chance to get going, looks absolutely stunning, especially when you remember it was shot on an iPhone 6. The people who have recorded the video have given it the utmost chance to look its best though, with slow pans very much the order of the day to ensure the app’s 30fps limit isn’t exposed too much. It’s worth noting for the purists that the video wasn’t actually recorded in full 4K, with it being upscaled from 3264×1836 to the required 3840×2160. It doesn’t look worse off for it, that’s for sure. ProCam 2 is currently on sale, so now is the time to pick it up if you’re going to. Of course, you’ll need a 4K capable screen in order to take advantage of the extra pixels you just recorded too. Alternatively, you can also give Ultrakam 4K for iPhone a shot, which is a tad expensive than ProCam, and goes for the price of $9.99 straight on. But, you do get a lot of pro shooting features which ProCam does not have, such as using another iOS device remotely as a viewfinder. The choice is yours which one you go for. Your HD TV wouldn’t do it justice either. The only way you would be able to see this video in all of its glory is on a 4K monitor or a 4K television. And? What is special in this video? And why is it stunning? It’s 4K UHD video like any other 4K UHD video. Redmondpie bye bye from bookmarks any shi* that has iPhone and Apple in name you publis on redmondpie.